MagePlus Store - How to set up an eCommerce store in a single day? Can you imagine a situation where you are able to set up an eCommerce store within a single day? I’m thinking that you can’t and also don’t know of anyone provides such a service. But we at Aspiration Hosting came up with a new plan called ‘MagePlus’. 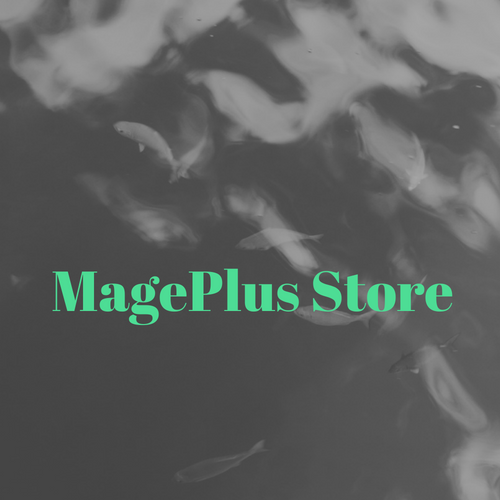 You can set up your store within a single day with our MagePlus Store. MagePlus store is a hosting solution that comes with a low cost and no limits. MagePlus is a Magento eCommerce store. Our experts will set up your complete store in a single day. We will install Magento, configure it for you with the theme you select. The best advantage of Mageplus is that you don’t need to worry about your store. Our experts will do everything for you. No other providers offer such a service for you. MagePlus with Aspiration CDN makes your store load faster from anywhere in this world. Along with this, the LiteSpeed server of Aspiration Hosting makes your store load faster than any other platforms like Shopify or WooCommerce. You can compare the features and also cost of MagePlus with any other platforms. Our MagePlus provides more features than Shopify, BigCommerce or WooCommerce with the same pricing. We provide 24/7 support. Our experts will resolve all the issues related to Magento and MagePlus. You can reach us through Live chat, Helpdesk, and also via Phone. Lastly, all our servers are protected by firewalls. We also use strong IPTABLE rules which block all requests from IP addresses, which act as a source of abusive activities frequently. We will patch our servers with the latest security patches as soon as they become available. Aspiration Hosting also has monitoring systems on our servers which helps to troubleshoot issues proactively. There is various scanning software running on the servers which can detect malware and also malicious scripts within the websites. Aspiration Hosting is one of the top Web Hosting Companies in the world. We specialize in Magento, WordPress, Joomla, etc..